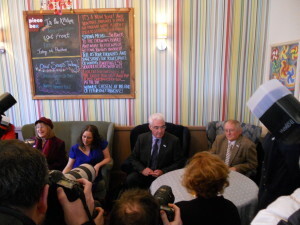 Darling meets with members of the public in the Piecebox Café in Polwarth. 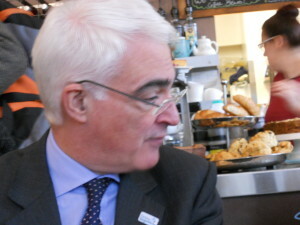 Better Together campaign leader, Alistair Darling, today met with members of the public to discuss the most recent developments in the independence debate. 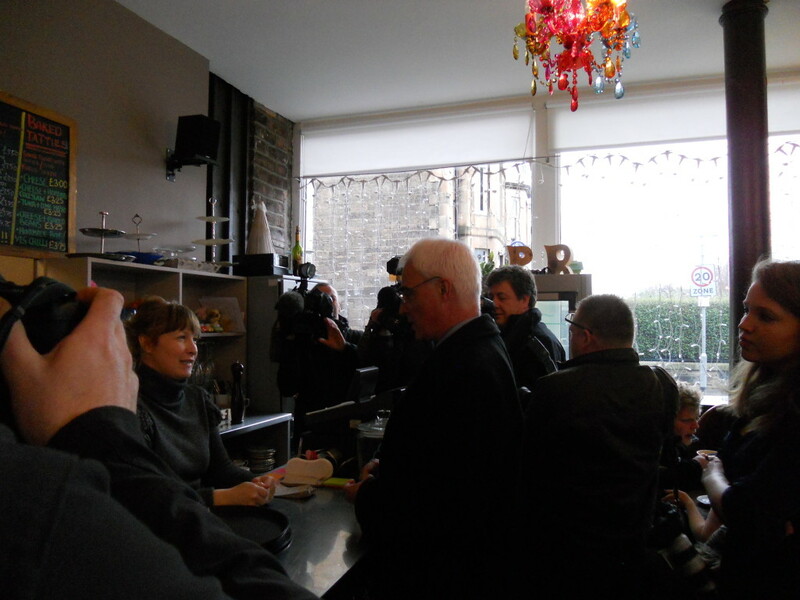 The meeting, at the Piecebox Café in the city’s Polwarth Crescent, comes days after the Chancellor of the Exchequer, George Osborne, dismissed any hope that an independent Scotland could share the pound with the rest of the UK. The former Chancellor of the Exchequer accused the First Minister of asking the people of Scotland to walk ‘blindfold’ into the polling stations 200 days from now. He said: “In the past few days the wheels have been coming off the nationalist wagon. Darling strongly emphasised the point that with thecurrency union completely off the table now there is no way to know what the pound in your pocket will be worth in an independent Scotland. This was reinforced by a representative from the Federation of Small Businesses present at the meeting who voiced concerns over the fact that many businesses rely on trade in other areas within the UK, an action that would be made difficult and expensive without a common currency . He also warned that a change in currency could have dramatic effects on business in Scotland, and suggested that companies such as RBS and Standard Life would face a choice of a move down south in order to trade in the currency held by the majority of its customers. Finally Darling warned not to take the decision of voting yes or no lightly, as the vote on 18 September is final: ”The result, whatever it is, will stand.